We — the members of the Judiciary Committee, the House of Representatives, and the entire American public — are still waiting to see that report. We will not wait much longer. We have an obligation to read the full report and the Department of Justice has an obligation to provide it, in its entirety, without delay. If the department is unwilling to produce the full report voluntarily, then we will do everything in our power to secure it for ourselves. 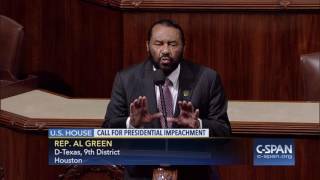 "The president has committed obstruction of justice" - Rep Al Green (D-Texas). "Over a million people have weighed in on this" - #ImpeachTrumpNow. "The question we really have to ask ourselves is whether the country is worth it, whether what we stand for is worth it, whether our values are worth it." #ImpeachableOffenses. These people will obstruct and cover up til the cows come home. 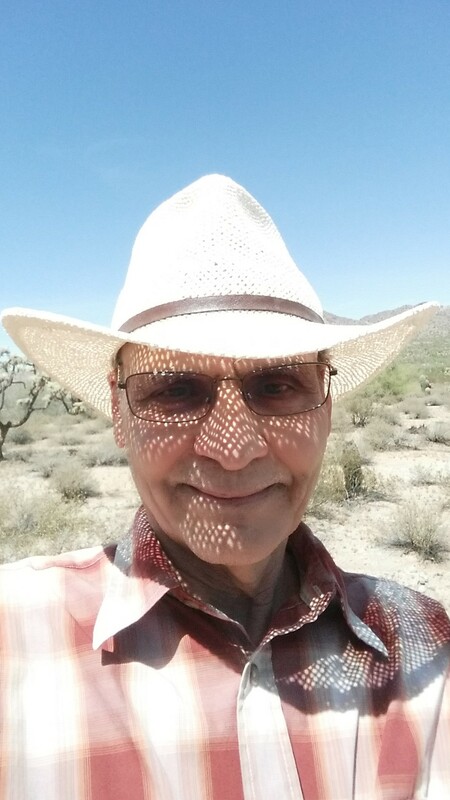 Congress has to play hard ball or just continue to abrogate it's responsibility to the American people. The house judiciary committee has serious tools at it's disposal. The question is, doe's it have the courage to use those tools. 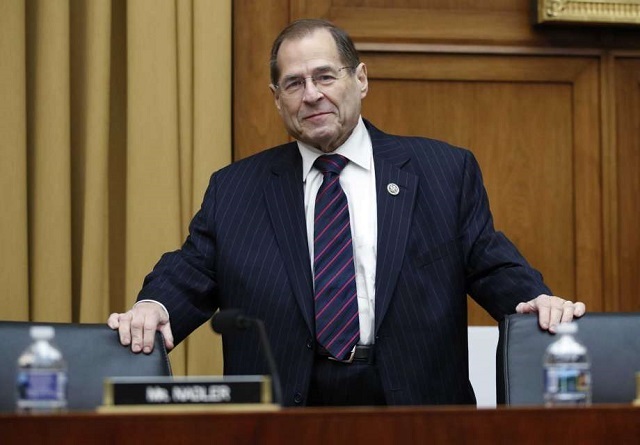 Nadler, like Conyers, surely "can talk the talk", but Nadler may not be willing (Pelosi will not permit it)to "walk the walk" (e.g., he could convene an Impeachment Hearing at a moment's notice (RE: "Obstruction of Justice", "Violation of the Emoluments Clause"), if only he had "the courage to use those tools") for the same reasons as Conyers (Pelosi took Impeachment of Bush & Cheney "off the table") - the "political capital and favor" of Trump (McConnell, McCarthy, and the majority of Republicans in Congress will be putting Party before Country by siding with Trump "through thick and thin"), same as they did for W Bush, will outweigh "the rule of law" in the United States and will preclude any proper or effective "oversight" and "accountability" of the President by Congress - W Bush Thirty Five Articles of Impeachment, the rule of law, oversight, accountability to the American people "unaddressed" by Congress (110th through 116th). No such country called "America", but we kinda guess what's meant is the USA...."OF" America...not to mention that the stolen state of Hawaii isn't even IN the Americas (of which the US is just one part of) but is in Polynesia.